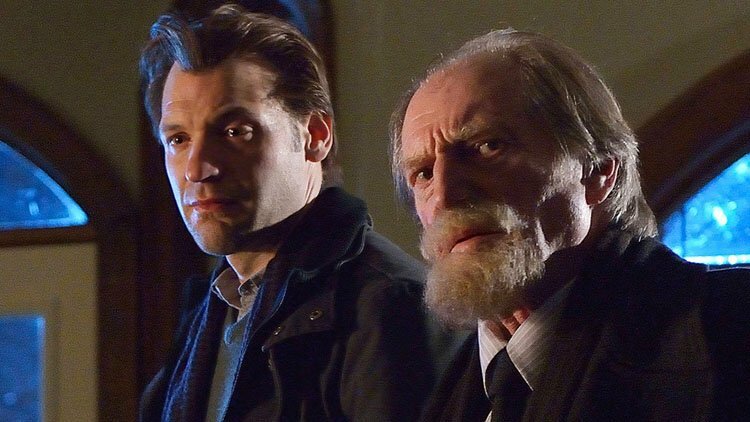 The Strain is not done with Captain Doyle just yet; or, rather, Eph, Nora and Jim continue to dive into the parasites that consumed the pilot’s body. It’s gruesome, gore and gross – and bloody brilliant! And that’s just the beginning, we also have Â the continued deterioration of Ansel Barbour and the final conflict with Emma. Doc and Dave have lots to discuss as the recap episode 4Â ofÂ The Strain. As always we want your feedback so drop us a line atÂ dave@horrornewstv.comÂ orÂ docrotten@horrornewstv.comÂ and weâ€™ll talk next week as we continue to bring you our 13 nights of fear withÂ HORROR NEWS TV THE STRAIN FAN PODCAST. A very special thank you goes to Joe Melluzzo andÂ Night SpiritÂ for giving the podcast permission to use of their new hit song,Â Fire, in the intro and outro of the show. 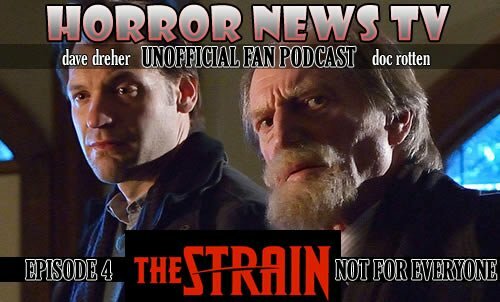 Check them out and tell them the Horror News TV The Strain Fan Podcast sent you their way! Check out the show notes for links toÂ You Tube,Â iTunes,Â Amazon,Â FacebookÂ andÂ The Night Spirit website.